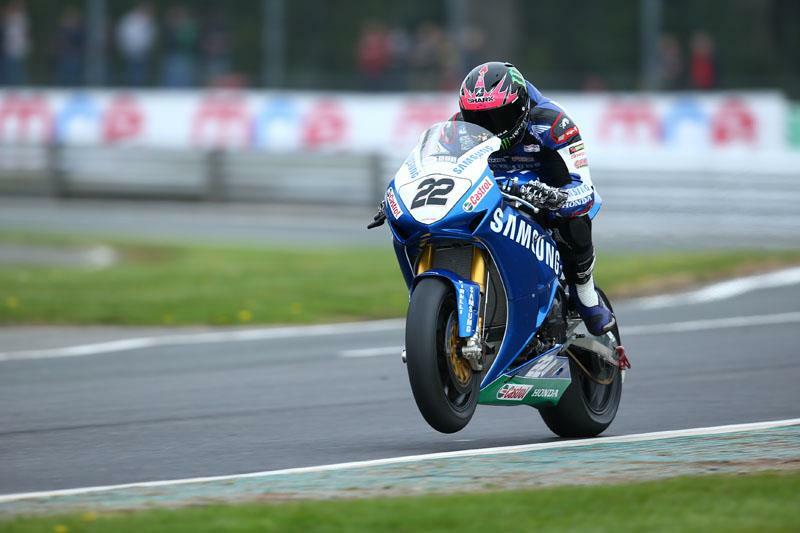 Alex Lowes put in a commanding performance at Oulton Park on Sunday afternoon to claim his second successive British Superbike Championship pole position. The Samsung Honda rider was the only person to dip below the 1m35s bracket and took the top spot by almost half a second from current series leader Shane Byrne (Rapid Solicitors Kawasaki). Indeed, the qualifying session went true to the weekend form with Josh Brookes (Tyco Suzuki) completing the top three, the trio having been at the front all weekend. The only rider missing was James Ellison (Milwaukee Yamaha), an oil pressure problem keeping the Cumbrian out of the final segment of qualifying and down in tenth spot for Monday's opening race. Byrne's team-mate Keith Farmer showed no ill effects from his spill on Saturday to claim his first BSB front row whilst Jon Kirkham's impressive early season form continued as he put the Buildbase BMW into fifth spot. Chris Walker, a race winner here 12 months ago took a good sixth for Quattro Plant Kawasaki with Tommy Bridewell (Bathams Honda), Peter Hickman (GBMoto Honda) and Karl Harris (PR Racing Kawasaki) close behind. There was further disappointment though for Ryuichi Kiyonari who could only manage 14th, some 2.6s slower than team-mate Lowes whilst Michael Rutter, due to have his 400th BSB race tomorrow, suffered a multitude of problems and will start from 19th place.